On this date in 1917, Hall of Famer Lou Boudreau was born in Harvey, Ill. He was elected to the Baseball Hall of Fame in Cooperstown, N.Y., in 1970. Boudreau, who was the son of a French-American father who played semipro baseball and worked as a machinist and a Jewish mother. His parents divorced when he was young and he did not get along with his stepfather after his mother remarried. Boudreau was raised by his father and brought up as a Christian. He graduated from Thornton Township High School in Harvey, Illinois, and the University of Illinois at Urbana-Champaign, where he was a member of Phi Sigma Kappa fraternity, excelling in sports at both schools. He was captain of the basketball and baseball teams at the University of Illinois when Cleveland Indians general manager Cy Slapnicka paid him an undisclosed sum in return for agreeing to play baseball for the Indians following graduation. Boudreau’s father complained to the Big Ten Conference, and league officials ruled him ineligible for collegiate sports. During his junior and senior years at Illinois, he played pro basketball with the Hammond All-Americans of the National Basketball League. Boudreau made his Major League debut on September 9, 1938 for the Cleveland Indians, at the age of 21, playing first base. In 1939, manager Ossie Vitt informed Boudreau, who normally played third base, that he would have to move to shortstop as Ken Keltner already had the regular third base job. In 1940, his first full year as a starter, he batted .295 with 46 doubles and 101 RBI. He was also selected to play in his first All Star Game. Boudreau helped make history in 1941 as a key figure in stopping the 56-game hitting streak by Joe DiMaggio. After Ken Keltner made two fine stops at third base earlier in the game, Boudreau snagged a bad hop grounder at short barehanded and started a double play to retire Dimaggio. He finished the season with a .257 batting average and a league leading 45 doubles. After the season, owner Alva Bradley promoted manager Roger Peckinpaugh to general manager and appointed Boudreau as the player manager, becoming, at age 24, the youngest person to have taken on the job of manager at the beginning of an MLB season. Boudreau managed the Indians throughout World War II. One of the best defenders of his time, he led American League (AL) shortstops in fielding percentage for eight seasons. Boudreau was also a productive hitter and had a lifetime average of .295. He led the AL in hitting in 1944 with a .327 average and led the league in doubles three times. Boudreau was an eight-time All Star selection, starting three times. He won the 1944 AL batting title (.327), and led the league in doubles in 1941, 1944, and 1947. Boudreau still holds the record for hitting the most consecutive doubles in a game (four), set on July 14, 1946.
before retiring to join the broadcast team of the Chicago Cubs. Boudreau briefly came out of retirement to manage the Cubs for the 1960 season, after which he returned to broadcasting Cubs games, where he remained until 1988. Brad didn’t play in the Dodgers loss to the Astros on Thursday. Coming off being in the starting lineup for the NL All Stars as the cleanup hitter, Ryan snapped an 0-for-16 skid, by going 1-for-4, scoring a run, stealing his 8th base and throwing out the plodding Ramon Hernandez at home in the Brewers win over the Reds. His average rose to .310. Brauny scoring his run and…. the end result of his outfield assist, which prevented a run! Notice the lack of hustle from Ramon! One big reason why he is no longer an Oriole. Craig didn’t pitch in the A’s loss to the Angels on Thursday. The Rangers had the day off on Thursday. The Pirates had the day off on Thursday. The Rays had the day off on Thursday. Jason didn’t pitch in the Rockies win over the Padres on Thursday. The Chisox had the day off on Thursday. The D-backs had the day off on Thursday. The Sawx had the day off on Thursday. Chai 5 for the Hebrew Hammer!!! unfortunately beat him by 239,144 votes. Youk is thrilled by his selection!! Rays manager Joe Maddon, who is an idiot (see below). being left off the team!! Pedroia, beat him out by a measely 73,086 votes!!!! Zobrist!!!! Who, you might ask?? 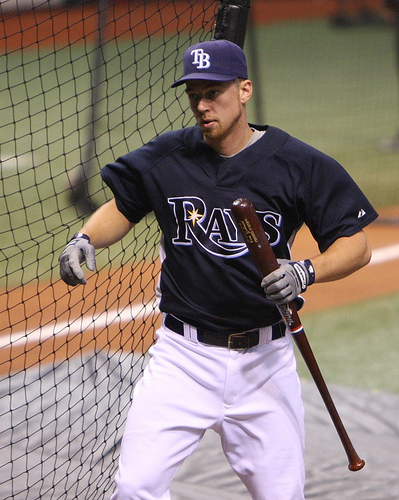 Zobrist getting attacked by the batting cage. or Zobrist must have something on him!!! Below are the total votes received and the resulting rosters. cast your votes for Ian!!! outfielders in the voting for the All-Star game in St.
Louis. 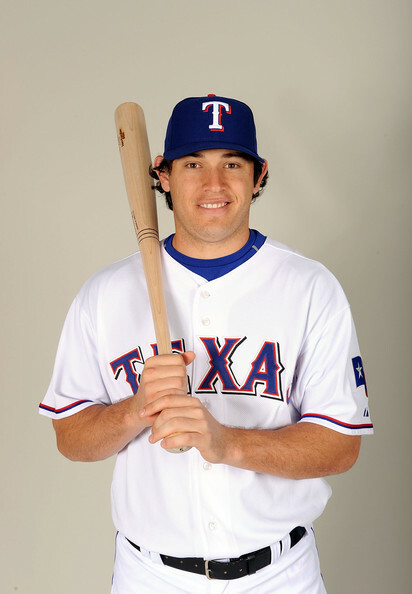 Vote for him, Ian, and Youk early and often! Let’s hope that some of our guys had All-Star performances! Brad didn’t play in the Dodgers loss to the Phillies. to .316 and earned a Chai 5. Yankees. His average remained at .282.
score in the Red Sox win over the Tigers. inning. His average fell to .362. May 19 is Jewish Community Night at Dodger Stadium and the Dodgers will honor the Maccabiah Games, an international Jewish athletic competition similar to the Olympics, during pregame ceremonies. Ron Carner, the General Chairman of the USA 18th Maccabiah Organizing Committee, will throw out a ceremonial first pitch. Jewish Life Foundation, working with Blazer Media Group, produces the annual Jewish Community Day Pre-Game Ceremonies for the Los Angeles Dodgers. More than 500,000 baseball fans have been touched by this day of fun shared with the Southern California Jewish community since its inception in 1998. Group shot of the day’s honorees and flag bearers. Mazel Tov to the Dodgers!! I bet those people in the photo want to know how the boychiks did! 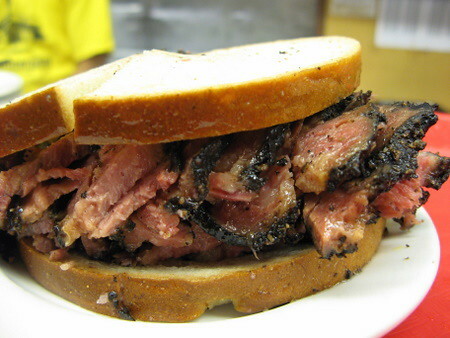 So, get some nosh and read about them! Brad didn’t play in yesterday’s Dodger extra inning win over the Mets. But I’m pretty sure that he was very actively involved in the Dodger’s Jewish Community Night as the only Jewish ballplayer on the team! Ryan went 2-for-3, including hitting his 9th double, walking twice and scoring 4 runs in yesterday’s Brewers win over the Cardinals. In addition to scoring every time he reached base, he also recorded his 29th RBI. His average rose to .328. Ryan earns two Chai 5’s for his day. Craig pitched 2/3 of a scoreless inning yesterday in the Twins 4th straight loss to the Yanks. This perfect outing lowered his ERA to 6.75. Scott earned a well deserved day of rest. John pitched one inning yesterday in the Pirates win over the Nats, giving up one run on 2 hits and a walk. John also struck out a batter. His ERA rose to 5.50. Gabe pinch hit for Carl Crawford and remained in the game for the Rays. He went 0-for-2 in the Rays victory over the Indians. His average fell to .212. The Rangers had a day off yesterday. Jason scattered five hits, walked three and allowed one run in eight innings to end a two-start losing streak. He also struck out three batters. The win improved his record to (5-3) . Jason had given up 16 runs – 14 earned – in his previous two starts, a span of 9 2/3 innings against the Giants and Astros. Thanks AP for the quotes. Scott didn’t pitch on Sunday because the D-backs game against the Marlins was postponed by rain. That is the second day in the row that the D-backs were rained out. Youk is on the 15-day disabled list–retroactive to May 5– and is eligible to return from the disabled list on Wednesday.